Click here to watch the entire TV interview. Click here to view the Semiconductor segment. Click here to view the 5G ETF segment. Click here to view the Thematic/Motif Investing segment. Click here to view the segment explaining Boeing’s impact on the Industrial ETF complex. Is data the new alpha? What role does Artificial Intelligence, Big Data, and Machine Learning play when constructing ETFs? Is there a role for Thematic ETFs like 5G, Human Evolution, and New Age Consumer in your portfolio? What’s the impact of Boeing on the various Industrial ETFs? Are market cap weighted ETFs better than equal weighted? Should you own Semiconductor stocks given where we are in the economic cycle? 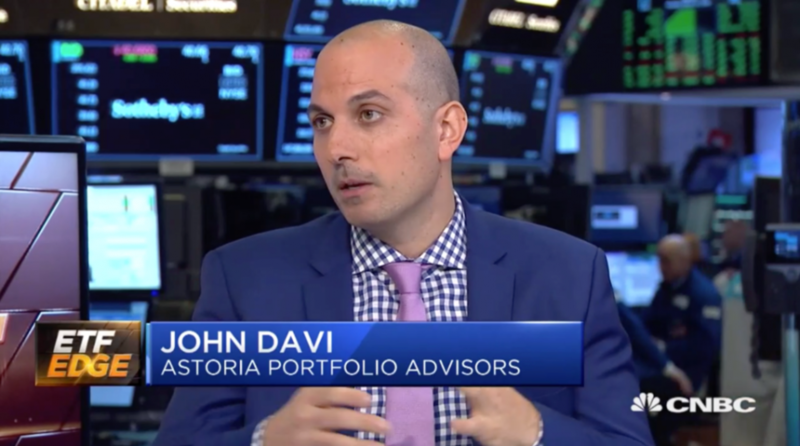 Astoria’s Founder and CIO, John Davi, discussed the above topics on CNBC TV on March 11, 2019.